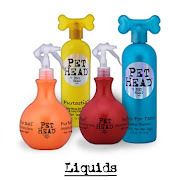 Dog Boutique, Designer Dog Clothing and Accessories for your Dog: Shoppers, Take Your Marks! "Soon" is Thursday, May 17 and Saturday, May 19. 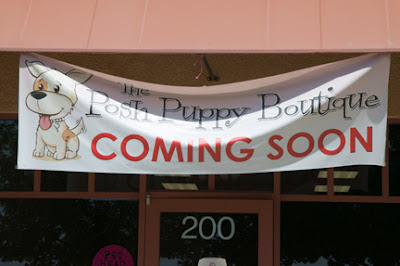 Sacramento-area pet fashionistas will have a new hangout to call their own starting at 9 a.m. Thursday, May 17 when the Posh Puppy Boutique opens its new retail store. The store has not one but two Grand Openings planned. Festivities begin with an unofficial “soft” opening on May 17 after Good Day Sacramento pays a visit at 7:30 a.m. The “official” event runs from 10 a.m.- 5 p.m. Saturday, May 19. All activities take place at the store, 6040 Stanford Ranch Road, Ste. 200, Rocklin. Special Grand Opening activities include free pet treat samples while they last, a photo booth where pictures will be taken then emailed and door prizes highlighted and a $200 gift certificate to Posh Puppy Boutique given out by raffle from Damion McAnally of Nationwide Insurance. Normal hours are 10 a.m. -5 p.m. Monday-Friday and 10 a.m.-2 p.m. Saturday. In-store shoppers and people living nearby can avoid paying shipping costs by ordering their items online through the Posh Puppy Boutique website and picking their purchases up at the store. Dogs of all sizes and breeds are welcome to come by for a free treat while their owners browse the showroom. So what can people find in the new retail store, which also houses the online store? A sampling of the many distinctly different, and fashionable, products found on-line. 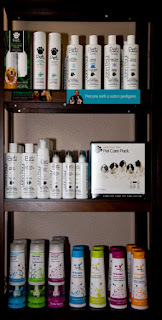 John Paul Pet grooming items. For example, pick up some John Paul Oatmeal Shampoo ($14) and John Paul Oatmeal Conditioning Rinse ($14) from noted human hair care businessman John Paul DeJoria. 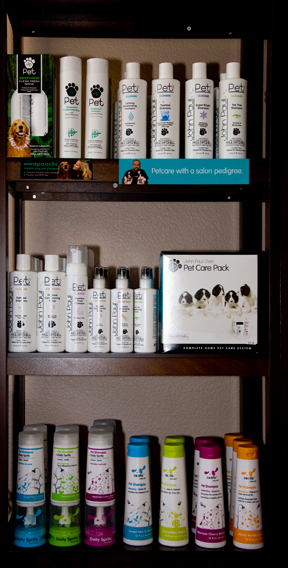 These products give your pet the same type of high-end salon products but ones designed for dogs and cats. Are you looking for an outfit for your girl dog’s night out? Our retail store carries a Sniffany Box Tutu Dress with Rhinestones in Tiffi Blue ($60). Lined with blue satin ribbon plus ribbons on the chest and waist, this dress has Swarovski crystals so it, and your dog, will sparkle. Reward your dog for going shopping by giving him or her a plush toy. Check out the store’s selection or pick from more than 400 online. You will also find a wall filled with racks of dog costumes and outfits plus tables piled high with tees, tanks and other fun dog clothes. 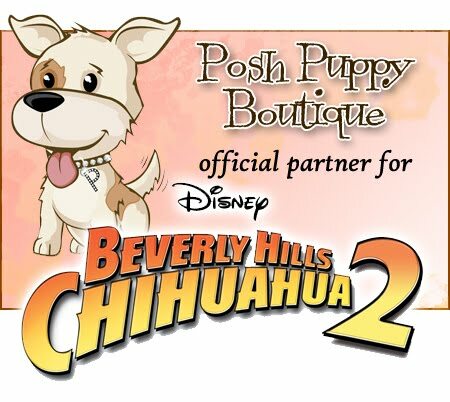 See you at the Posh Puppy Boutique Grand opening! Call 888-837-5230 or visit us on Facebook and Twitter.